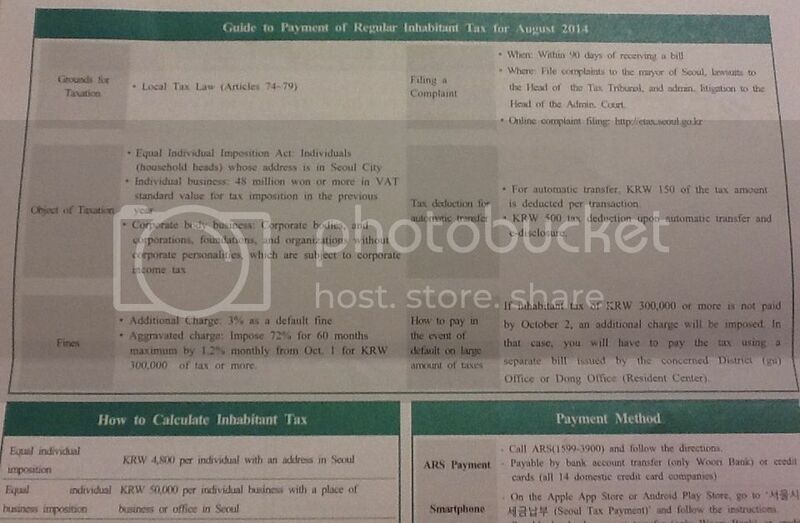 For close to 9 years now, we had been annually paying our Regular Inhabitant Tax here in Seoul, particularly in Dohwa-dong, the dong where we reside. I used to pay at the post office near our apartment but this time I found time to go over the document and realized I could actually pay at convenience stores. How’s that for convenience? And convenience stores are everywhere in Seoul. There’s CU, GS25, 711, Buy the Way and Ministop in every corner. Not bad, eh? Not bad.